We are keen on ski boat fishing in Southern Mozambique and found some pretty sound accommodation in Ponta Malongane. 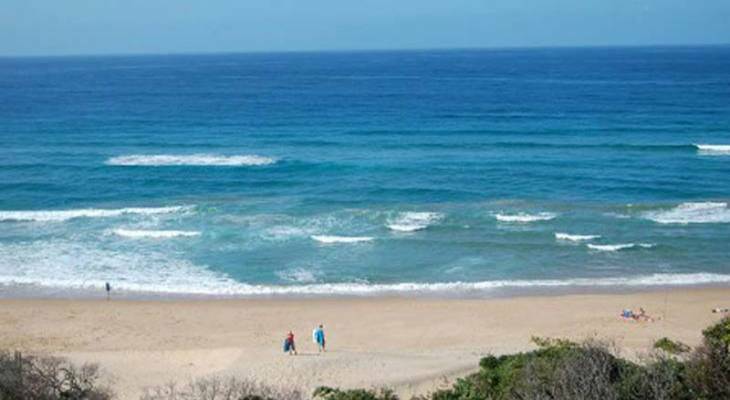 Ponta Malongane is only a very short drive from Ponta d'Ouro which probably attracts more South Africans looking for self catering accommodation in Mozambique than any other town. We found two really nice restaurants in Ponta Malongane namely Sunrise Shack and You Come See....or something like that. Both Restaurants are very rustic with VERY nice food. Besides restaurants and accommodation Ponta Malongane also has a sort of Water Sport / Ski Boat Club on the beachfront - This is a fantastic spot for swimming and having a casual drink on the beachfront (spectacular view up the northern beach). The town of Ponta Malongane is very similar to Ponta d'Ouro in that drinking water is a problem and you should buy bottled water or take your own. Roads leading to our Ponta Malongane self catering accommodation unit consisted of VERY soft beach sand - 4x4 vehicles are a must. Nkumbe Wildlife Estate at this point has very limited wildlife, but a great restaurant which is owner-run and was built by Billy Budd of Durban restauranteur fame. - He also took us on a little "star-gazing" night drive accompanied by copious amonts of Old Brown Sherry..........very interesting. Self catering accommodation in Ponta Malongane is the way to go because of all the crazy, rustic restaurant and pub options in the area. Don't forget to visit Fernandos Pub en route via Ponta d'Ouro to Ponta Malongane........the Rum and Raspberry drink is traditional and kicks like a mule, so beware. Mozambique Southern border regulations should be observed - remember to take passports + motor log book + ZAR bumber sticker + fire extinguisher + small tyre air compressor, red triangles and air pressure guage. Make sure that you see the physical passport stamp in your book before you leave the Southern Mozambique passport office. A great time was had by all - Looking forward to the day that the Restaurants and accommodation in Ponta Malongane upgrade their plumbing systems and water quality. Ponta Malongane Bay overview. Ponta Malongane Bay Accommodation and Information.